This past weekend, I was reminded of the true meaning of unconditional love, a lesson that will stay with me forever and that will hopefully make me a better person and by extension, a better writer. As a rule, I have tried not to discuss my family too much (if yo u know me personally, you will know there is little I enjoy talking about more than my family) and have tried to keep the focus of my blog postings on writing. 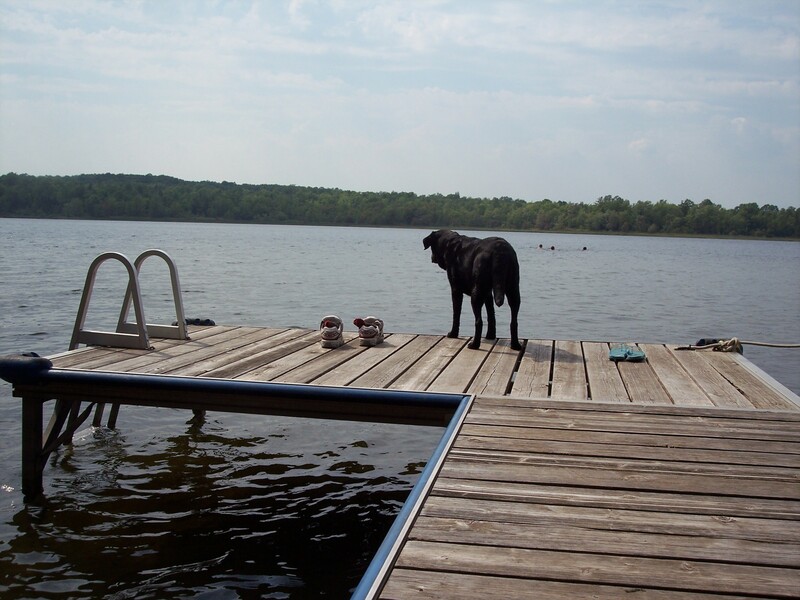 But, with your permission, I would like to share with you what losing our sixteen-year-old black Labrador Retriever has meant to me and to my family. Jazz wasn’t supposed to be our dog, but in the split second it took for her to tear past me sixteen years ago, my heart knew she was indeed, my dog. As it turns out, an acquaintance of my husband had an eight month old puppy that wasn’t getting the attention she deserved and this woman cared enough for her, to want to find a family who could give her what she needed. 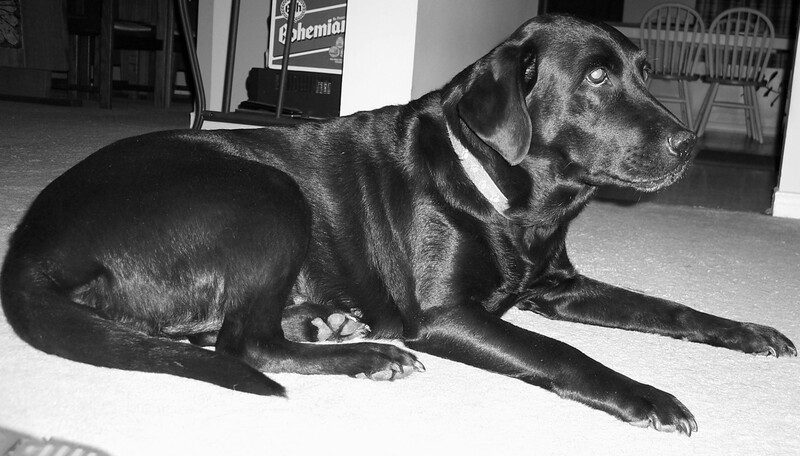 My husband thought of his brother who already had one Lab and it was at his brother’s house I first met my dear friend. Unfortunately, the idea of a female partner drove the first dog crazy, which drove my brother-in-law’s family crazy, the end result being, Jazz came to live with us. Jazz was a perfect match for our family and before long she adopted my husband as her favourite person in the universe. But alas, for the past year we have watched as Jazz’s body began to show her age and ultimately betrayed her. Over this past weekend, my husband had to carry her down the stairs. Knowing he had a day of gardening in front of him and knowing Jazz wasn’t about to let him do so without her, we placed her bed next to the planter. She never lay down. Refusing to leave his side despite her obvious pain, she dragged herself back-and-forth from the shed to the garden, matching each of his movements with lumbering strides and occasional stops to catch her breath. It was obvious her body had finally decided enough was enough. Yesterday morning, we made an appointment for her and again carried her outside to sit in the gazebo one last time while we had our morning coffee. For the last few days, I have thought about Sasha Trudeau’s black Lab that sat at the lake’s edge where Sasha’s body had been swept by an avalanche slide, also refusing to leave his friend’s side. I cried when I read that story knowing full well Jazz would have done the same. The joy of having Jazz in our lives and now the sorrow I feel with her passing, will make me a better writer. I’ve talked about it before, but in order for a writer, regardless of their genre, to write relatable stories, they must be willing to dig deep. Having just gone through the painful experience of watching Jazz struggle to remain the best dog for us, and then to watch her close her eyes and hear the vet whisper, “She’s gone,” has added another layer to me and hopefully to my future writing. Whenever I am called on to write about loyalty, sacrifice, dignity, unconditional love, or letting go, I will be able to look back at Jazz’s life and know I’ve seen each before. She was a dear friend and we will miss her.